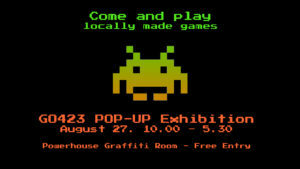 The Game On program and the Game On festival supports sector building and sustainability of the local game making industry through strengthening community networks and fostering recognition of our local game making industry. 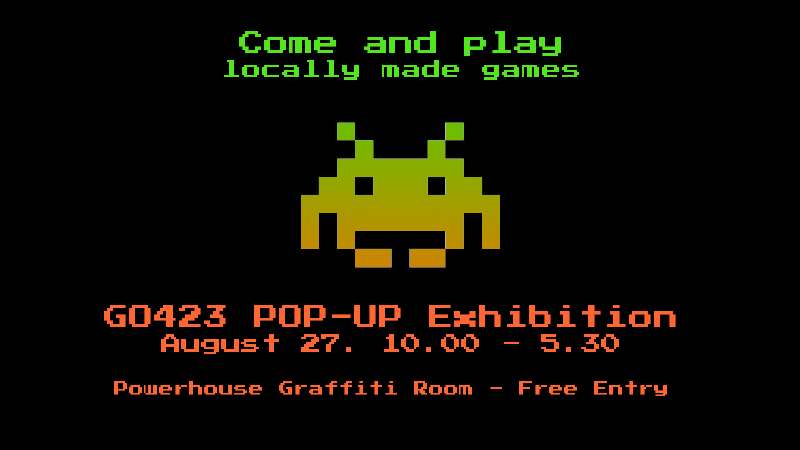 Our yearly GO423 festival celebrating local game making is on at the Brisbane Powerhouse on August 18th 2018. A very special pop-up exhibition featuring a number of our local studios displaying their creative works to the public in a particularly fine setting by the river. 2015: Game On Symposium – What if …? 2013: The second annual Game On Symposium Space to Place offered a full weekend program including guest speakers, room for play testing, and presenting ideas. Over 200 people attended the Symposium from 2 -3 August at Queensland University of Technology’s newly constructed Science and Engineering Centre. 2012: The first Game On Symposium: Foreplay to Freeplay (423) offered a full weekend program including guest speakers, room for play testing, and presenting ideas. The symposium was attended by over 200 people and took place across two days (14 and 15 July) and two sites (QUT Creative Industries Precinct and QANTM College Brisbane [now SAE]).